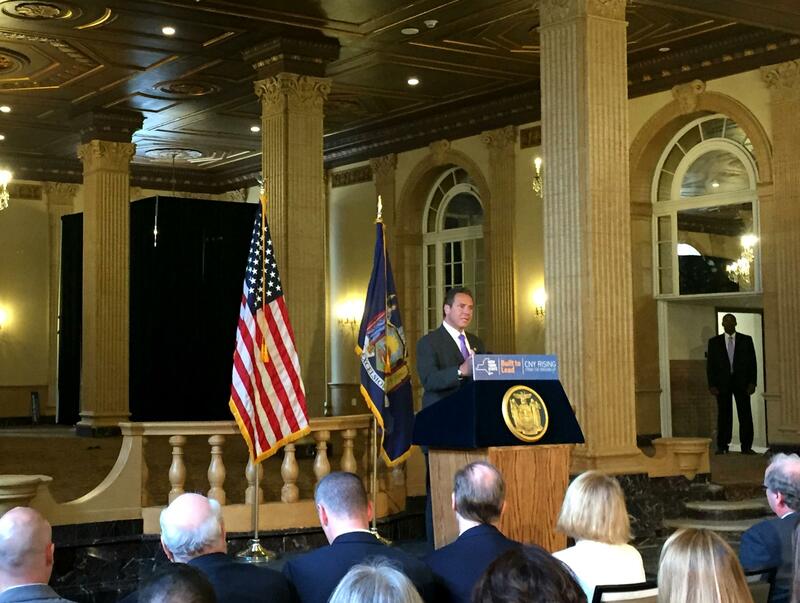 Governor Cuomo used the Hotel Syracuse's renovation as a backdrop for economic revitalization news for Upstate New York and Downtown Syracuse. Governor Cuomo was in town today to celebrate two local businesses’ plans to create and retain 450 jobs in Downtown Syracuse. The newly restored Hotel Syracuse was the backdrop for his remarks about the economic revitalization happening in Upstate New York State. The two companies highlighted by Cuomo include Terakeet, a software development and marketing company, and T-C-G Ascencion Gaming, an online marketplace for collectible cards. State Economic Development Commissioner Howard Zemsky says the jobs being created are the sort that will carry Syracuse into the future. 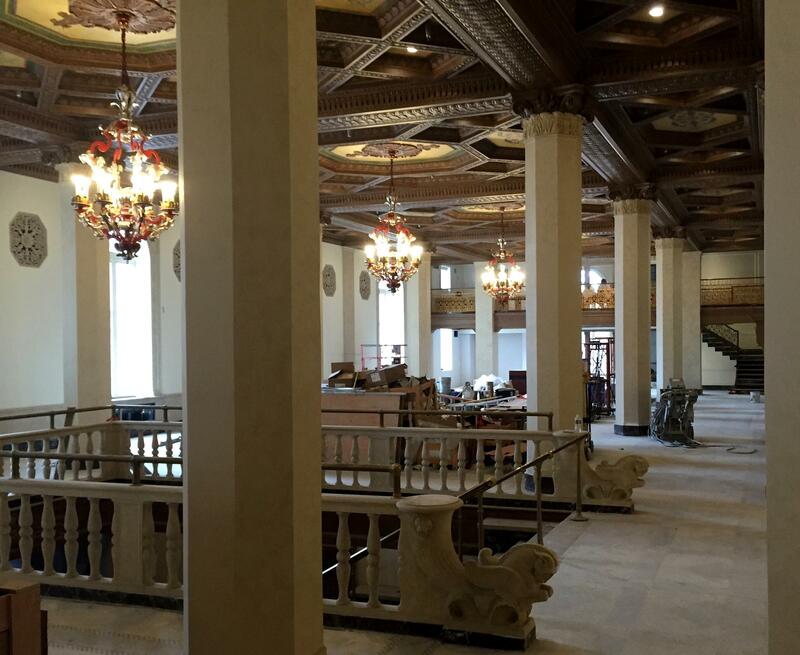 The lobby of the Hotel Syracuse is still going through construction remodeling and restoration. 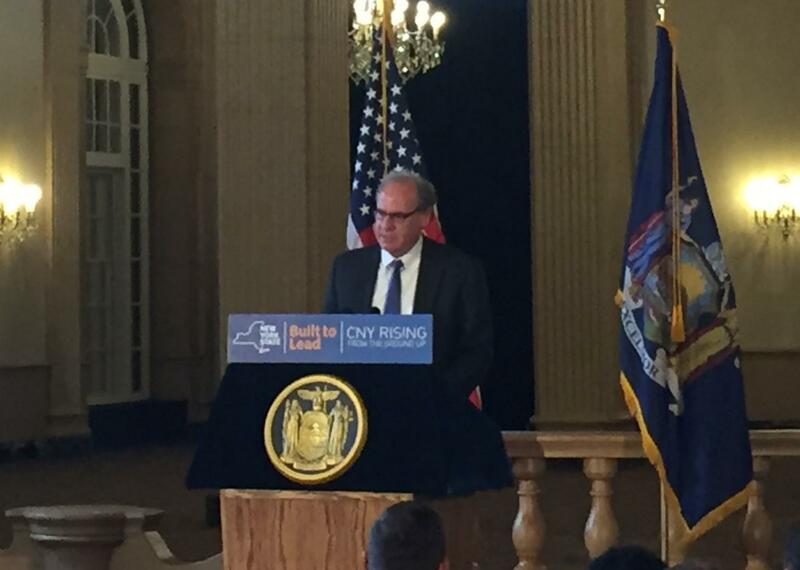 Governor Cuomo and Economic Development Commissioner Howard Zemsky say reclaiming history for the area's future is essential in economic growth. Cuomo emphasized the positive impact these new jobs will have in revitalizing and reinventing the Upstate New York workforce. To offset the 3.9 million dollars of tax credits and grants the companies will receive from the state, Zemsky cites the increase in local personal income. Economic Commissioner Zemsky points out how increased payrolls and development of high-paying jobs are good investments for New York. The state has invested nearly $3 billion into the Central New York region since 2012. With unemployment rates dropping from 8.3 percent in April 2012 to the current 4.7 percent in April 2016. The renovations of the former Hotel Syracuse are ongoing inside and out and the sunshine beamed inside of two completed rooms that were unveiled today. The Hotel will become a Marriot. The Owner's Manager Member, Ed Riley is largely credited with saving the hotel. He says the wooden doors leading to the rooms date back to 1924 and are being refurbished locally by Stickley. Business leaders say the key to growth for many small to medium Central New York companies might be selling their products overseas. Auburn city officials are hoping that a statewide grant competition will help revitalize the city’s downtown area and economy. 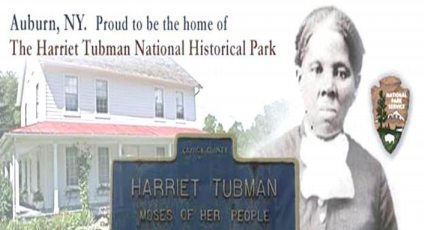 Auburn Mayor Michael Quill unveiled the proposal focused on a new welcome center to help visitors navigate the developing Harriet Tubman National Historical Park. One of the officials closely tied to business development for the City of Syracuse during the past six years is taking a job in the private sector. 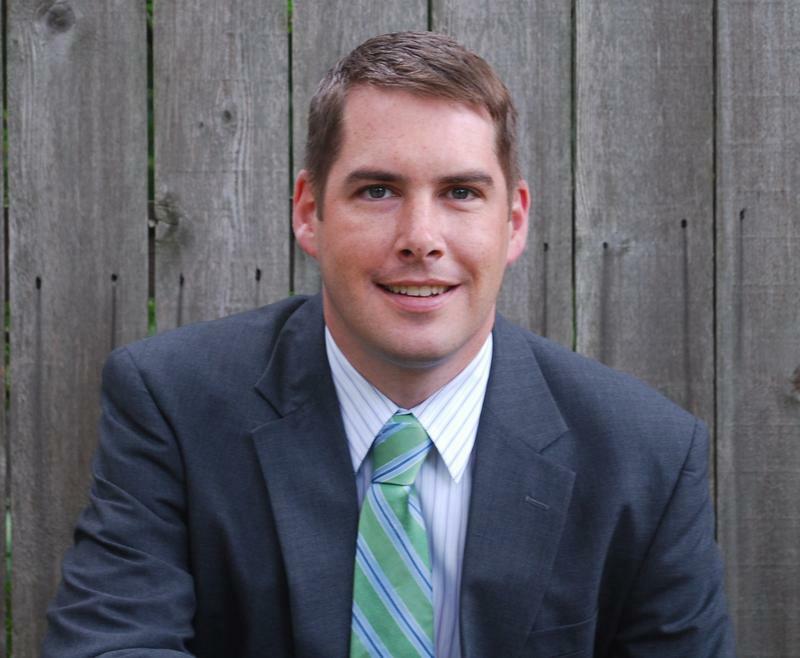 Deputy Commissioner Ben Walsh has led the way on a number of important projects, but knows many challenges remain. He says things have taken shape since he was appointed in 2010 at the end of the recession.